It’s me, Norbysweg again, bringing you guys a top notch guide on a brand new revived deck! With the legendary challenge on, many people have been having lots of trouble with the new meta, especially with the Golem Hut deck (screw you, Surgical Goblin! ), MK Skellybarrel, and Bridge spam. If you hate these decks, and always been hoping for some decks to get a fresh start and shine again, Imma show you a great example! In one of these days I somehow remembered the old days, where I was still at 3k trophies, and I qualified for the CCGS bracket. All the top 20 spots were taken by Golem, no joke at all. I surprisingly got very good with the Golem archetype, especially with the classic, Pump Lightning one, which had some basic interactions, principles and easy ways you could always win (no joke at all). Once the Night Witch dropped out, I got her and pushed with the same classic Golem deck (NW added to it), and went from 4000 to 5200 in 16 days with a level 5 Golem and a level 2 NW (no joke at all, again). After adding the Ghost into the game, I’ve gained a total amount of 3-12 Grand Challenge wins, and the Legendary Challenge 12 win, with pretty good success in competitive play also! This includes friendly battles in-clan, brackets and regular bo5-s. Now let’s get into the card breakdown! Your main tanker, win condition. Hands down one of the simpliest cards in the game, no specific interactions, just drop him down and support. 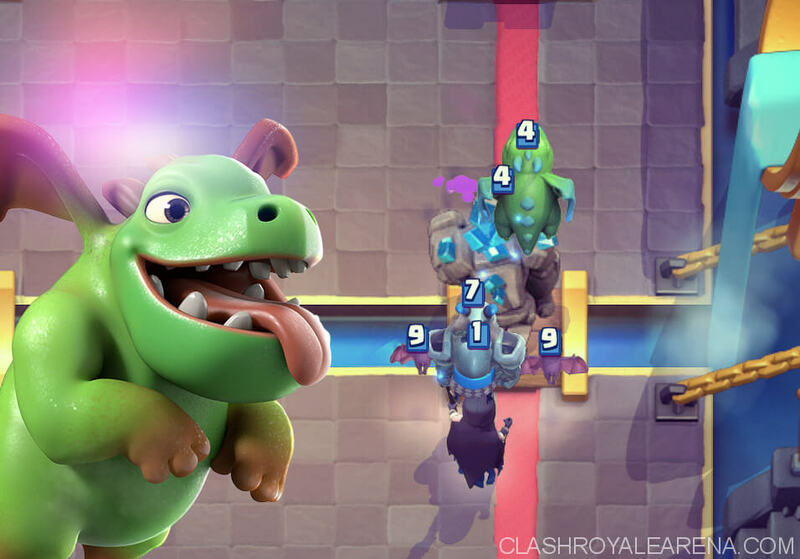 Golem decks differed a lot in certain times, as we experienced Classic Golem beatdown, Golem Bait, Golem 3M, and Golem hybrid (includes Golem Hut, Golem Mortar and many more). 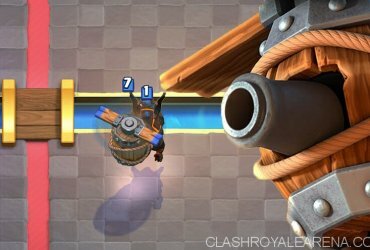 Its hard counter usually seems to be the P.E.K.K.A, but most times you can outplay it with an Elixir advantage. Your main support, most important thing behind a Golem. She has been nerfed two times, yet she’s still one of the strongest around, adding a spell-bait touch to the deck, and also a huge DPS rise. 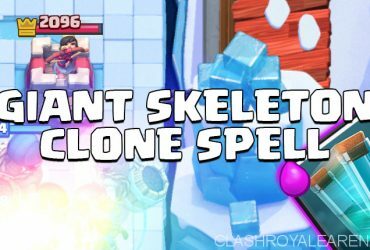 You usually want to support the Golem with her as fast as possible, but in most cases you want to have a little space between them, so splash troops like Mega Knight, Wizard, or even huge spells like Rocket won’t get deadly value on your push. She has the most important role in your push, and she gets lots of value on your side, as well as on your enemy’s! She is the most balanced support for your Golem, but the other two have special roles I’ll talk about later. Always try to play your NW on the same side as the Golem, but you can definitely use her to tank a Mega Knight punish push if necessary. More of an advantage/splash support, which is also important on your side of the push, as well as a reliable defensive tool that will help against most meta pushes. I like the Baby Dragon because it gets lots of splash value in this meta, and also because it eventually shuts down Goblin Hut! Interesting fact: In the old Golem meta before NW or Ghost, the Baby Dragon locking on the enemy’s Tower was considered the most damage dealing unit in the entire deck! The reactive support, I mostly enjoy using it when the opponent counters my Baby Dragon with his Mega Minion, and I can use mine on his, and save both of them! This guy is mostly used on defense, but what I like about it is that if your opponent isn’t ready to defend your push, the Mega Minion gets huge value, because it has a fast reaction hit speed, killing cheap cards like ewiz or Archers efficiently. Usually an Ice Spirit saves you from a Battle Ram hit, a Bandit connection, a Mega Knight, a Miner, prevents a P.E.K.K.A from getting maximum value, and countless more uses. Most of the time an Ice Spirit makes huge difference, so use it carefully and efficiently. I mostly use it behind the King to grant protection, because we don’t need chip damage or anything by planting it at the bridge. Try to get the most value by spacing out value troops like NW from it, and also Pump up if your opponent seems to overcommit on your push, just let it die and farm Elixir. 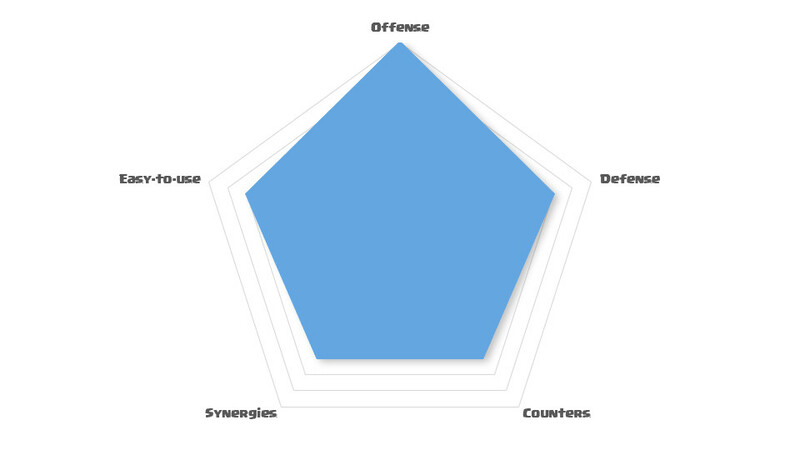 Nothing to say here, you’ll mostly use it defensively. Nothing to say here also. Just remember to always Lightning pumps, as the new nerf makes Lightning the best spell to use against it! Okay guys, no need for detailed explanation for everything here, just a few steps you want to follow for certain success. Here we go. It’s the start of the game, so you are cycling or placing down a Pump, the most important card of the early game. Place your Pump in front of the King Tower, to help defending miners easier. If you don’t have it in hand, cycle a Mega Minion or Ice Spirit at the back. Once you get the Pump down, watch out for any punishes incoming or spells. If they use a spell, your goal is to get the best trade in the upcoming few interactions and get the Pump down, possibly outcycling your opponent or putting him in a weird spot. Don’t commit to any pushes yet, and only Lightning high value like a Pump or a Gob Hut. Don’t commit to Golem if possible. If you get two pumps down and maintain them, you have 95% of winning the game. If you have a Pump down, drop a Golem in the back at full Elixir and build your push slowly. The Golem supporting order should always be Night Witch, Baby Dragon and Mega Minion reactively or not. If you build your push accordingly and get a bitta Lightning value, you won the game already. Before pushing, you should always scan your opponent’s defense, if they have a swarm deck for example, even something like Log bait with Tornado, you might just stack your push up and don’t use the Lightning at all (the enemy deck has no buildings or troops that would be worth the Lightning), in this case you should watch out for Rocket value on your push. The main thing is, always know if Lightning should be saved, or used, because most of the times that little extra question can make the difference in a game. And always remember, this is the time where pumps count. The second way to win a game is build a smart push and space your troops out well, and possibly get a lot of value with spells like Log. If you do it accordingly, you might end up with Golemites and an 1hp NW at the enemy’s Tower, now this is the time when a move can decide the game. You have to go for the most all rounded push, that can’t be simply defended. If you’ve done this right, you should still have Elixir for a Pump, while the enemy will be occupied with defending that annoying minipush. If you get in this spot, there is no real way to lose the game, you just have to defend and do the minimal attack with the Golem. Minimalist attack in this deck means pushing with a regular Golem in the back, but actively save Elixir for any counterpush incoming, and reactively place down your troops, do not overcommit on attacking, and possibly invest in another Pump. If your opponent attacks you in this spot, don’t just ignore it and go for the three crown! You still didn’t get the most profit out of your Pump, so he might still defend your push easily! Just repeat the steps from mid game, and consider going all-in with a push. If you’ve done everything right and even been a bit lucky, there is no way to lose the game. Undisputably the hardest matchup, this deck can shred you apart without any remorse, especially if they use Executioner, that’s probably a 15% winrate. The only advice I can give against P.E.K.K.A is: Always focus on Elixir. If you’re making bad trades or messing up Miners on your Pump, you will get demolished with a counterpush. If you get the pumps down and not too much damage, you’ll have a good chance to win the game! Always focus on getting more Night Witches down, as they do the Highest DPS and can kill the P.E.K.K.A fast. This ambitious deck has the Miner Poison combo, which can easily tear down pumps repeatedly if you are not skilled enough to predict juke Miners (Miner on the Tower and Poison on the Tower and Pump, so any troop trying to defend your Pump will get poisoned too). The only way to win is get a good Pump down, and organize your push carefully, so you’ll always have Elixir for a Lightning on the Inferno Tower. Also remember to use the decisive Pump, so when they Poison your push you’ll have the Pump ready. Truth is, you have to play this one differently. Take care of your pumps, because they might have Rocket. Never stack your push all up, because Exe-Nado will demolish it all no matter how big it is. Take advantage of the LightningLog which kills the Exe and play your troops spaced up and one after another, until you bait out the Nado and can finally go in hard. If not, always try to dominate the side they want to push on, so they can’t get a Hog down. That was it guys, hope you enjoyed my 16th guide, and hope y’all have success with this deck! I surely enjoyed playing it, and I’m looking forward to finding many more working decks to bring you guys! Lava Flying Machine Deck – Frisk Style!